Several high-profile police shootings and other law enforcement-related deaths in the United States have sparked intense protests throughout the country and a fierce debate in Congress concerning the appropriate level of force police officers should wield in a society that equally values public safety and the lives of each of its citizens under law. These incidents have been the subject of several congressional hearings, have prompted the introduction of various legislative measures, and have catalyzed a new civil rights movement in the United States aimed at reforming the criminal justice system. Reformers claim that police work too closely with local prosecutors resulting in insufficient oversight and have called for greater involvement by the federal government. The law enforcement community and its supporters have countered that these recent deaths are anomalous in otherwise exemplary police conduct, and that placing the federal government in direct regulation of state and local police would present an unwarranted intrusion into state and local affairs. 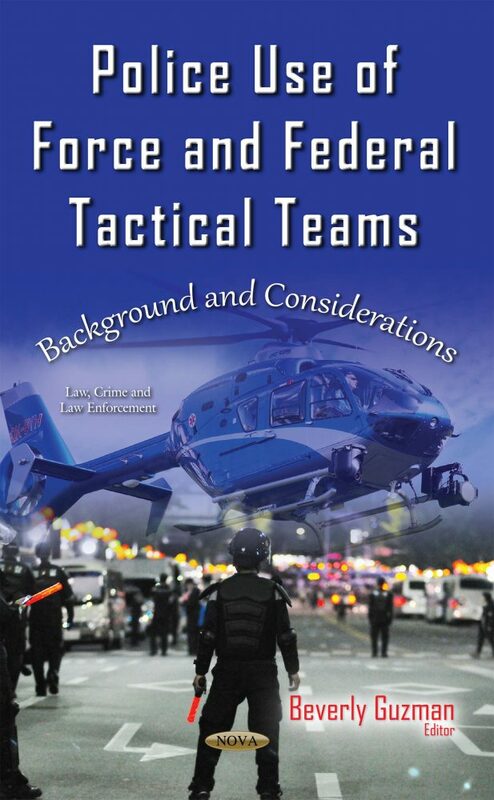 To provide legal context for this debate, this book will address three overarching questions: what are the constitutional rules governing an officer’s use of force; what role has Congress played in providing a remedy for a violation of these rules; and what are the potential reforms to these rules and remedies? The authors of this book advocate for democratic ideals within law enforcement to combat the mindset that law enforcement officers are at war with the people they serve.